Rasun - Crazy World - Official Music Video - ojak Worldwide and Rasun together are thrilled to announce the release of the latest CD Single from Rasun, "Crazy World," available everywhere now! 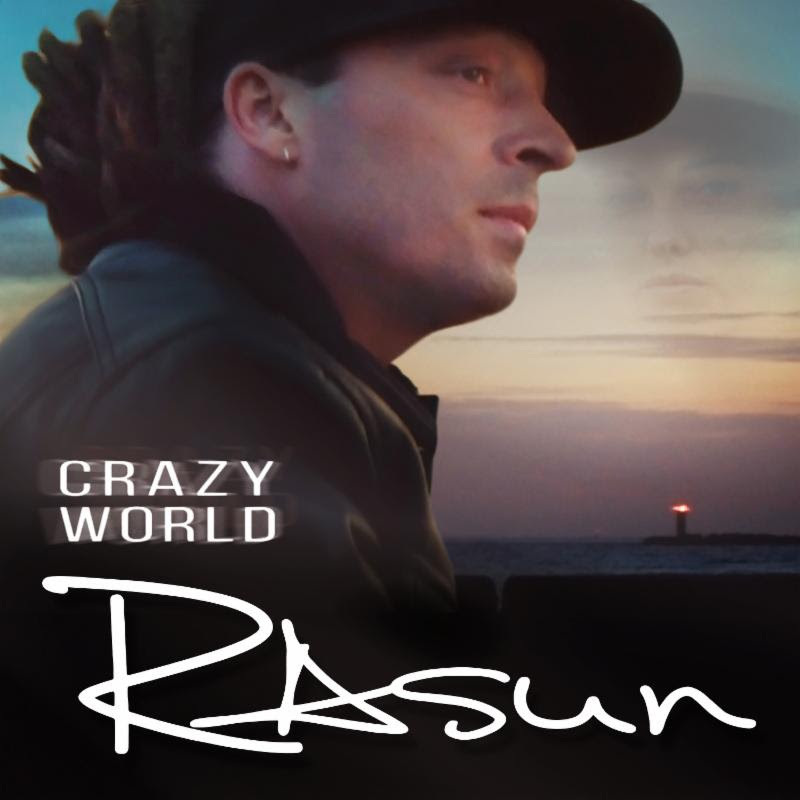 Crazy World is influenced by the many prior releases of Rasun’s music, with his unique gravelly voice and his brother Don Juan’s keyboard style and modern production talent, that mixes well with Reggae, Dancehall, and Pop genres. Rasun’s newest single was released on the same day as the music video bearing the same name, Crazy World, which was shot on location in Amsterdam. The video Crazy World, is a seriously creative work that depicts the lyrics and story of the song, like a movie. Crazy World was produced and edited by the talented Netherlands based cinematographer, Gino Kliesen and his Dutch based film crew team. The song brings out one’s deepest emotions, like many of Rasun’s other original works that people have strong feelings about. Rasun, as the artist, has done the writing and singing made possible by his brother, Don Juan, who is responsible for producing over 50 leading edge, mostly Reggae genre, songs. Rasun’s music theme reflects the complexity of making any kind of relationship work out, to create love and balance out of it, or deciding to move on. Crazy World was recorded and mixed at Studio1084, a private studio located in Naples, Florida under the brothers own record label, DonRa Music, in collaboration with Dennis Blum, owner of Studio1084 and co-founder of 3 national retail franchises. Ron Bowen, notable radio and broadcasting personality said about the new song Crazy World, and the artist Rasun: ‘Crazy World by Rasun is one of those rare songs that sonically hits the right note at just the right time. It unites the world of music preferences with a sound that ignores and transcends radio formats, digital streams, algorithms, and live performance potential. So when did you start recording / performing your music? I started very young, I was 12 years old when I was featured on my first recording with my fathers group, Strictly Roots. Tell us a bit about your new release, "Crazy World." Crazy World is a song I actually wrote on my fathers birthday and I new it was special right from its inception. It’s hard not just for me but for others to describe my music as well I try and hear other people try often and it’s something you just have to hear. Sometimes I hear people say I sound like Luis Armstrong, it’s an honor to hear that but I laugh it’s just unique hard to compare it to anything really. Yes, I do have a new project coming out next month. My Ep titled "143," the only producer I’ve worked with on this is the greatest producer on planet earth, my brother, Don Juan Cartel who as he would tell you has had me in artists development for many years and has shaped our sound into what it is today. No features or collaborations on this one.